Is a 10-Year Appliance Warranty a Good Deal? What Appliances Should I Not Buy? How Will the New Tariffs Affect Washer and Appliance Prices? How Can I Prolong the Life of My Refrigerator? Why Doesn’t Every Appliance Brand and Store Offer Service? Can You Place a Gas/Electric/Induction Cooktop Over A Wall Oven? Is Stainless Steel Out For Kitchen Appliance Packages? Will Massachusetts Have a Sales Tax Holiday? 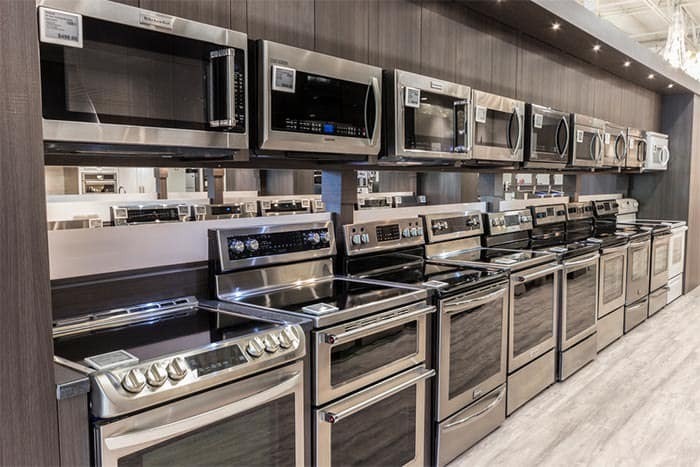 When's The Best Time to Buy Kitchen Appliances in Boston? Which Pro Range Should I Buy? Can You Place a BBQ On a Roof/Balcony In Boston? What Appliances Should You Buy Warranties For? Your Appliance is Damaged Upon Delivery. Now What? Your New Appliance is Defective. Now What? Induction vs. Gas: What's the Fastest Way to Sear a Steak? Can You Mix Finishes in Kitchens and Baths? How Do I Light the Outside of the House and Garden? Should You Downdraft a Pro Rangetop or Stove? Is No Tax Free Weekend Good or Bad?